Upfront, we would like to say “you’re” is obviously referring to the public and some of our customers not all. Many customers for our industrial plastic have educated themselves in detail on the plastics they need to work with. However, some patterns have emerged over the years in questions we need to ask regarding key properties when RFQ’d by our customers, questions that need to be asked. 1.) What grade of plastic is required? This is the big one. It is common for an application to be specified to us as “UHMW” or “nylon” when really that is not enough information. Most types of plastic have several grades with a variety of oil and fillers that do everything from making the plastic handle wear better to making it FDA/CFIA approved for food applications. The property differences can be large, and may have drawbacks on the natural grades too, therefore you will ensure a quicker quotation if you do your research upfront. 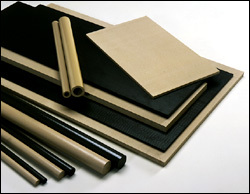 Our website certainly has information on the different grades of plastic for each plastic type. If you’re unsure, supply as many details to us as possible: application environment? Is it outdoors? What chemicals are involved? The more information you give us, the more we can help! 2.) Does the plastic need to be UV-stable? If there was a question we asked that got an “oh…Yeah…” response to us asking, it might be this one. The fact is that many plastics degrade quickly when exposed to UV light – the light of the sun. There are ways to UV-stabilize plastic and most of them can be stabilized but you cannot take that to mean permanent UV-resistance. That’s just not possible but what you can do is buy yourself time with UV-resistance, perhaps 6-10 years in many cases, and what this does is create a situation where the part is more likely to need replacement due to impact or wear before UV becomes an issue. The flip side of this coin is that customers sometimes request excessive UV-resistance which is simply not scientifically possible. If you’re wondering what “excessive” UV resistance on a plastic means think a guarantee of 10+ years. 3.) What is the lifetime cost of my application? This is more for those new to the plastics industry. Coming from a world where plastic is common in consumer items, what we call “commodity” grade plastics, leads one to believe that industrial/engineering or “mechanical grade” plastic would be cheaper than metal. In many applications this is not the case, performance plastics are expensive to produce because quality mechanical plastic requires precise manufacturing techniques and very expensive equipment. Furthermore, plastic is heavy and often comes in large diameter bar or sheet stock in excess of eight feet in length and therefore with transportation costs that must be accounted for. This can create some “sticker shock” when a customer considers a switch to plastic for a bushing or part. However, you need to keep in mind that many plastics will vastly outwear and outlast metals often to the tune of 2-20x the life of metal. So perhaps the plastic bushing is three times the cost of a metal bushing but if it lasts five times as long are you not saving significant time and money? A “honorable mention” to the questions above – the “.5 question” in the title would be in regards to certain popular plastics, such as HDPE and UHMW, not being dimensionally stable and suffering from thermal expansion or “creep” even at room temperature. Will thermal expansion or creep affect your design? In those cases where, for example, precise drilling of holes is required to match pre-drilling done on a substrate, it may be next than impossible to make those holes match unless installing in a controlled environment: thus requiring a redesign on the customer’s end. An easier way of doing this is simply having the customer drill the plastic. For more information or help with your application contact us today.